The hard rocking quintet Prospect Hill have climbed the peaks of musical hardship and are basking in the valley of stardom, as they signed a recording contract with Carved Records in April. But, that’s not all. “Come Alive,” the first single from their third and latest album, Impact, is being played on radio stations across the country. The song has also been licensed by ESPN for the 2012 National Hot Rod Association season and was listed on Amazon’s hot new rock singles chart, making it to the top 10 within just a few days of its release. For Prospect Hill, who hail from Merrimack Valley, an area just 20 minutes north of Boston, living life to the fullest is what they are all about and being on the road is one of their favorite ways to spend time. Since 2009, they’ve performed an average of 100 shows per year, ranging from throughout the Northeast, East Coast, Midwest and even California. “We always seem to have a lot of fun on the road,” said vocalist Adam Fithian. “You miss your family when you’re on the road but it’s not too bad because you have a bunch of people with you that are not only friends, they’re family,” Troncoso said. Being a tight-knit group has made the trek to success more fun than work. Nevertheless, they remember the days before they had access to quality instruments and recording equipment. Realizing they could save money through self-promotion, they created an online presence in 2005 and began building a fan base. Once they acquired enough money, they bought a PA system and eventually established their own label by 2009. These days, they are being courted by multiple record labels and rubbing shoulders with A-list producers, including Anthony J. Resta, who has worked with artists such as Collective Soul and Duran Duran. Resta also produced Prospect Hill’s, Impact. Resta isn’t the only well-known name the band has been in contact with lately. In the last few years, they’ve toured with acts such as Alice Cooper, Anthrax, Buckcherry, Fall Out Boy, Korn, Hinder, Stone Sour, Hailstorm, Sevendust, and CageTime, to name a handful. According to Roberge, other “really cool” incidents have happened since then. In 2010, they were named High Times Magazine’s Best Independent Act of 2010 and performed the High Times Magazine Award Showcase in Austin, Texas. Fithian said not only do they feel fortunate to have won, they are also supporters of the decriminalization of marijuana. 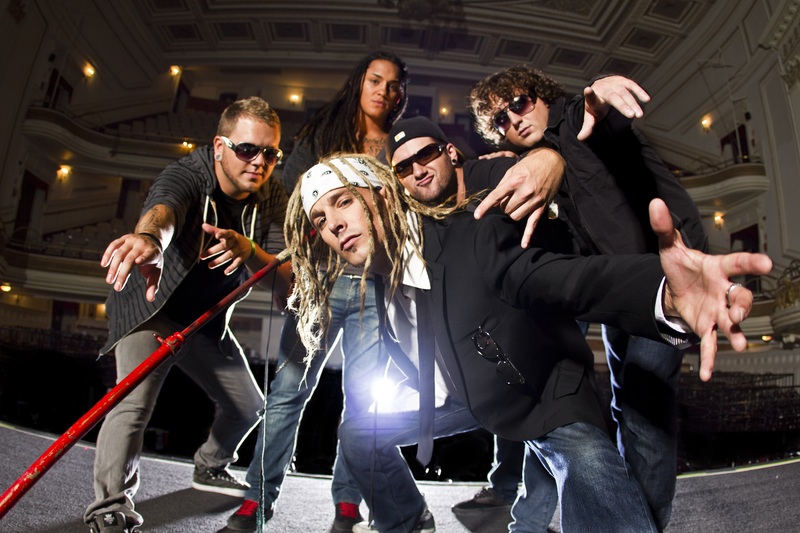 More recently, they were awarded the title of Best Live Act at the 2012 New England Music Awards, which took place at Boston’s Hard Rock Café in February. To learn more about the band, visit their website at prospecthillmusic.com. So proud of you guys!!! Love you!